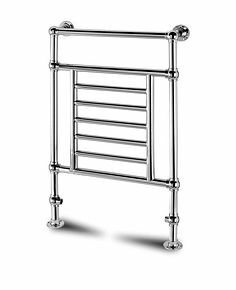 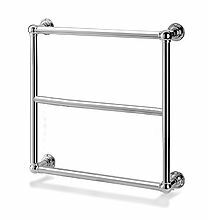 The Adoxia ball jointed towel rail offers classic modern styling and offers great space and functionality for towel drying and warming, the Adoxia measures 675 x 955 mm and is finished in a chrome plate which really makes this floor mounted towel rail shine. 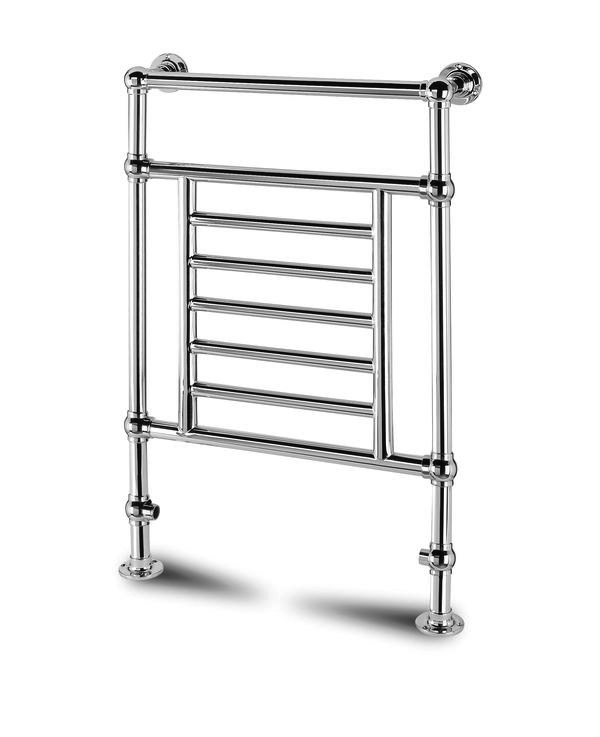 The Adoxia ball jointed towel rail is part of the latest technology in towel rails offering economy, practicality and style which is perfect for the busy family home where towels are getting used throughout the day. 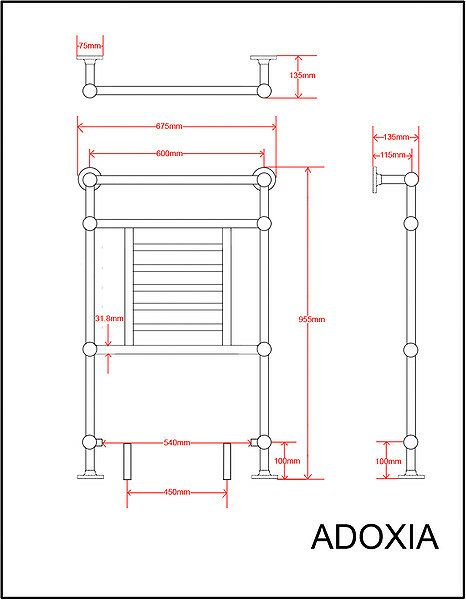 Centre to Centre: 600mm / 23.62"
Tapping Centres: 540mm / 21.26"
Valve Pipe Centres: 450mm / 17.72"